William B. Graves was born circa 1884 in Niagara Falls, Niagara County, New York. He married Frieda M. Coolidge circa 1919. William B. Graves and Frieda M. Coolidge appeared in the US federal census of 1 January 1920 in Niagara Falls, Niagara County, New York, at Main Street. He was employed at a power plant, according to the 1920 census. William B. Graves and Frieda M. Coolidge appeared in the US federal census of 1 April 1930 in Niagara Falls, Niagara County, New York, at 1428 Fort Street. Other members of the household included Jessie May Graves. He was employed as an electrician by a power company, according to the 1930 census. Frieda M. Coolidge became a widow at his death. William B. Graves died on 29 January 1936 in Niagara Falls, Niagara County, New York, at 1428 Fort Avenue at his residence. 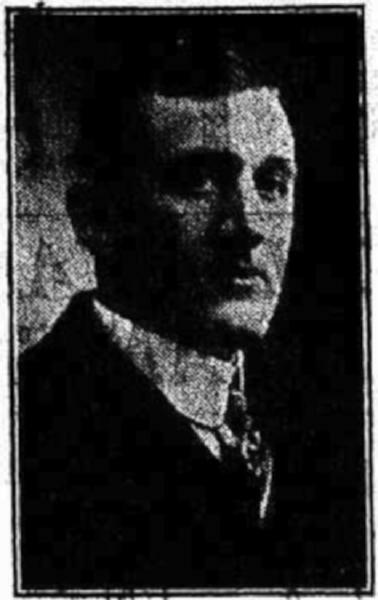 The following appeared on 29 January 1936 in The Niagara Falls Gazette: William B. Graves died this morning at 11 o'clock in his home, 1428 Fort avenue, after a lingering illness. Funeral arrangements were being completed this afternoon. Mr. Graves was a son of the late Charles Graves and a member of one of the best known and most prominent families of the Niagara section. He was a native of Niagara Falls and had always lived here. For a number of years he was employed by the Niagara Falls Power company. Surviving Mr. Graves are his wife, Mrs. Frieda Graves; two children, Jessie May and Charles Coolidge Graves; his mother, Mrs. Emma O. Graves, and two sisters, Mrs. Lucy F. Read and Miss Emma A. Graves. The late Charles E. Graves was a brother. The following appeared on 30 March 1942 in The Niagara Falls Gazette: A Peep into the Past . . . Charles Pomeroy Graves, 65-year-old real estate dealer and one of the city's most widely known residents, died in Memorial hospital 25 years ago today. He was a native and lifelong resident of the Suspension Bridge section, his father being the first United States immigration inspector assigned to theis port in earl village days. After graduating from Oberlin college, he became chief clerk at the Suspension Bridge postoffice and later served as an agent for the New York Central railroad before entering the real estate business in 1904. He was a charter member of the old 42nd Separate company. Surviving his are his wife, Mrs. Emma Utz Graves; two sons, Charles E. and Williams [sic] B. Graves, and two daugthters, Emma A. Graves and Mrs. W. W. Read. The following appeared on 14 May 1942 in The Niagara Falls Gazette: Emma O.Graves, beloved 84-year-old native and lifelong resident of Niagara Falls, who was long known to a host of friends and admirers as "Mom" Graves, died at 9:30 o'clock last night at the home of her daughter, Mrs. W. W. Read, 714 Chilton avenue. She was one of the oldest of Niagara Falls' surviving natives. Born in the former village of Niagara Falls in 1858, she was the daughter of the late Carl and Marie Utz, pioneer residents. Her father for years operated a meat market in Falls street, one of the few shops in the straggling village of that time. She was a sister of Otto Utz, who served as chief of the Niagara Falls fire department for many years. Educated in the old Niagara Academy, famous local girls' school of that era, she married Charles Pomeroy Graves, prominent member of one of the community's oldest families, who later became one of the city's foremost real estate dealers. Mr. Graves died 25 years ago. Unusually active throughout her long life, Mrs. Graves had many interests, chief of which was her home life. She was also an outdoor enthusiast, and an ardent fishing fan and for 55 years she went on annual fishing trips in the Georgian Bay district of Canada. She made her last trip north two years ago and spent many hours fishing from the dock in front of the cottage. She was invalided by a streptococcus infection last Christmas. Mrs. Graves is survived by two daughters, Mrs. Read and Miss Emma H. Graves, and two grandchildren, Charles C. Graves and Jessie May Graves, all of this city. Funeral services will be held at Mrs. Read's home at 3 p. m. Saturday, with the Rev. A. C. VanRaalte, of the First Presbyterian church, officiating. Burial will be in Oakwood Cemetery.